We're happy to offer advice on the best books to meet your needs. For customers who wish to save time ordering, check out our Bilingual Book Sets and our free Personal Shopper Service. Simplify your ordering with language Book Sets! 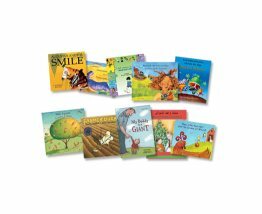 Available in multiple languages and different sizes, Book Sets include many of our most popular bilingual titles. Unique interactive bilingual picture dictionaries introduce over 650 widely used words, arranged thematically and enhanced with brilliant illustrations. Available in over 30 languages. 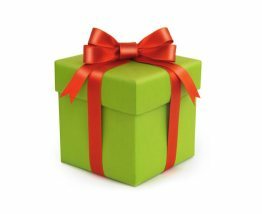 Give the gift of language! Your recipient can choose the language and items that they like! Available in any amount, Gift Certificates can be personalized with a message to the recipient and emailed within one business day. You want the best for your young language learners. We offer only high quality, beautifully illustrated, professionally translated books, posters and audio products. Read our testimonials from language experts and customers. Our aim is to help you meet the needs of language learners and diverse classrooms. Our BLOG is filled with articles that support the education of dual-language children and promote literacy. You can also download free multicultural lesson plans that teach all students to appreciate and understand the diversity in our communities. Language Lizard offers bilingual books, multicultural books and dual language audio books for kids and English language learners (ELL) of all ages. We work closely with schools and libraries to provide the best books for preschool, kindergarten and elementary language learners. Secondary school and adult English as a Second Language (ESL) students also use our bilingual stories (such as those in our popular World Folktales and Fables collection) to improve their reading and listening skills. Parents of very young children enjoy the bilingual board books and simple bilingual stories to help teach a second language to babies and toddlers in a fun and engaging way. All of our books are dual-language picture books with English and the foreign language (second language) on the page. We also offer multilingual posters that help educators create a welcoming environment in diverse classrooms. 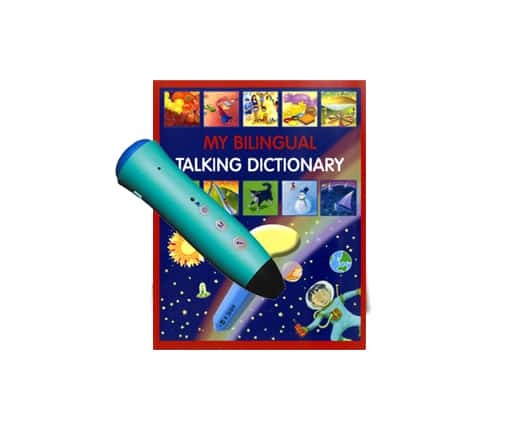 In addition, we offer unique interactive bilingual audio books and book sets that use the Mantra Lingua PENpal Audio Recorder Pen to turn regular bilingual books into audio books. This revolutionary "talking pen" supports reading, writing, speaking and listening for ELL students and foreign language learners. Oral language skills are further enhanced with recordable labels, which allow teachers to personalize instruction to meet the needs of their diverse student populations. Searching and ordering on our site is simple. You can search by language, age or product type using the list on the left side of our site (note: click on the white box on the top-left if you are on a mobile phone, iPad or small screen). If you click on "Spanish", you will find a robust selection of Spanish children's books, Spanish audio books, Spanish English Bilingual Book sets for kids, an illustrated English Spanish dictionary as well as multilingual posters and teaching cards that include Spanish, English and other languages. Similarly, you can click on "Arabic" and find Arabic children's books, Arabic audio books, Arabic English book sets, an English Arabic dictionary and more. If you click on "Chinese", you will find Chinese children's books, bilingual dictionaries, Chinese audiobooks that can be heard in Cantonese or Mandarin, etc. So whether you are looking for bilingual children's books in more commonly taught languages such as French, German, Italian and Japanese, or bilingual books for kids in less commonly taught languages such as Hindi, Nepali, Russian and Somali, you can find it easily on our online bookstore. On our product pages you will find full descriptions, a choice of languages, story videos of many of the bilingual titles, and video descriptions of our interactive bilingual audio book sets. Also, be sure to check out our free resources page, sign up to receive our newsletter and free multicultural lesson plans, and read about any special promotions or giveaways on our "Discounts and Promotions" page. If you need help making product selections, please do not hesitate to contact us. Educators that wish to save time ordering may request the services of our free Personal Shoppers who can place a "pre-order" (or quote). These quotes can be included on official school or library purchase orders.